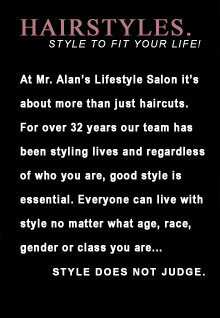 Mr. Alan's Lifestyle Salon - Picture Yourself a DIVA! "Change your hair, change your life." That statement is so very true - there is nothing like the feeling of donning a great hairstyle. When you look good, you feel good, and it all starts at the top and flows down to the tips of your shoes. 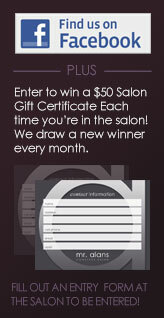 The first step to achieving a great hairstyle is finding the right hairstylist to create your look. 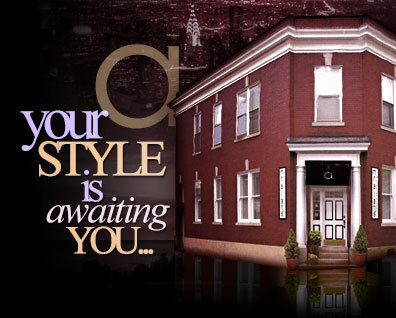 The relationship between a stylist and his or her clients is often overlooked. That relationship involves a great level of trust, which is gained through individual attention & care, expertise, training, personality, and most of all results. Generally, you can tell if a client/stylist connection is present within the first five minutes of meeting one another. And once a mutual connection is made, it will grow and flourish into a special bond that can, and will, change how you see yourself, and how others perceive who you are. Finding the perfect stylist who knows your hair, addresses your needs, and understands you on a persoanl level will be the beginning of a entirely new YOU. So to all of the clients that I have enjoyed cultivating creative relationships with, thank you. And to all of my future clients, I look forward to meeting you, and am eager to design a new style that will change your life.